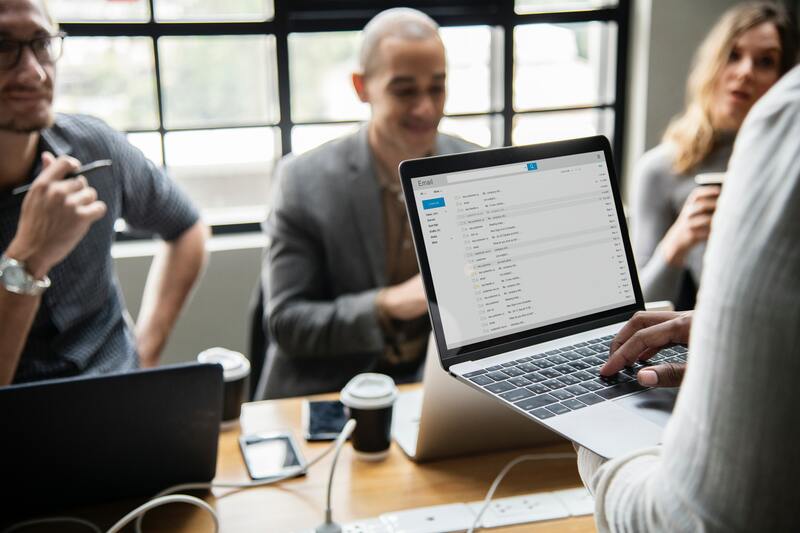 Whether you use Gmail, Outlook, or Office 365, knowing how to share an address book can be a huge boost to your email productivity. For starters, you may simply wish to consolidate the connections you’ve amassed between your numerous email addresses. In all likelihood, your current browser is juggling a handful of inboxes that you employ for various work and personal uses. Perhaps, a new job or company rebranding is even requiring you to start back at square one with a new email. Furthermore, you may be looking to spread the wealth with your coworkers. Giving them easy access to your contact list could be key to bolstering team success. And whether you want to compile a list of sales leads or simply share the info of valuable contacts, the following methods will help you through it. Gmail, Outlook, and Office 365 each allows you to export your address book into a conveniently transportable CSV file (i.e. an Excel or Google spreadsheet). From there, you can just as easily upload the data to another email account. In fact, let’s quickly showcase how straightforward this process can be. There you’ll see options to either import or export! 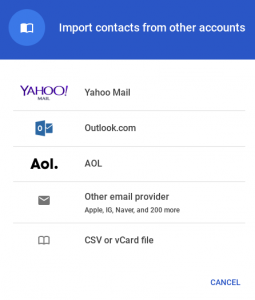 Similarly, “Import” allows you to select where the contacts are coming in from (incl. An Outlook choice!). 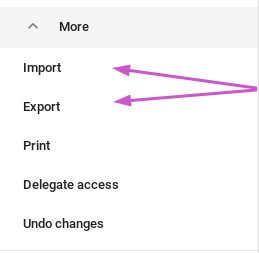 Click the “Export” option that pops up. 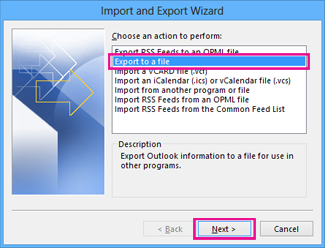 Select “Export to a file” when prompted with options. 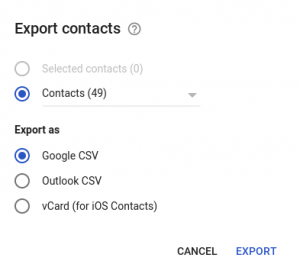 Select “CSV” or “Comma Separated Values” to get your contacts in the right format. To import, simply select “Import” after step 1! The process is similarly intuitive. That link will take you to a contacts page where you should see a “Manage” drop-down option up top. Finally, you’re presented with the same old Import/Export options as before! Before you export that CSV, make sure the info you have is accurate. ContactRescue will dive into your email archives (up to 1 or 5 years back) and automatically update your address book or CRM. 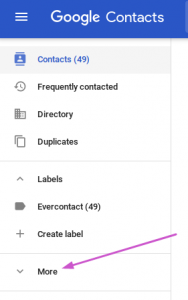 That way you can guarantee you have the most recent data for each of your contacts, without wasting hours manually updating the info yourself. All in all, its a huge time saver for taking care of your email archives. Have questions about how it works or the different plans? Feel free to reach out! And for more detail on CSV exporting, check out this comprehensive link. Using Gmail, contact sharing is exclusive to other Gmail users with the same email domain. While restricting, it can be particularly useful for sharing within your company. SmartCloud Support outlines how to use the Mail Delegation feature to share and view contact lists in this manner. Still not satisfied? Perhaps a third party extension or software from Google Suite can help you out! This Support FAQ goes into fairly lengthy detail about sharing your address book with those within and outside your organization. The desktop version (i.e. 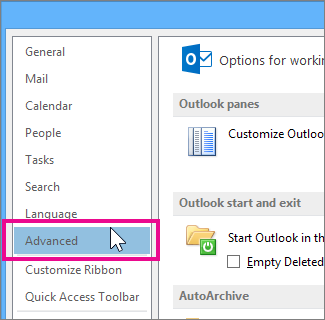 not via Outlook) unfortunately limited in its contact sharing capabilities. 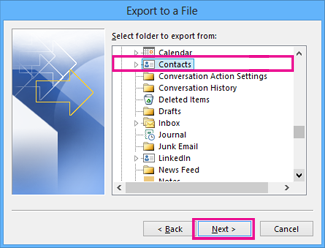 You can, however, create a shared company Contacts Folder.